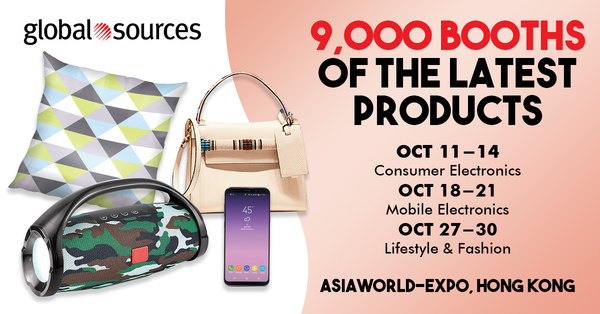 Visit Global Sources Exhibitions this October to source the latest, most in-demand and emerging products. Categories include consumer electronics, AR/VR, mobile electronics, gifts, home products and fashion. 100% of the exhibitors are Verified Suppliers and many accept small orders to provide more versatile sourcing options. kindly email name, job title, compnay, contact to keith@hkfec.org. For any queries, please do not hesitate contact to Global Sources Exhibitions at association@globalsources.com or contact us at keith@hkfec.org.